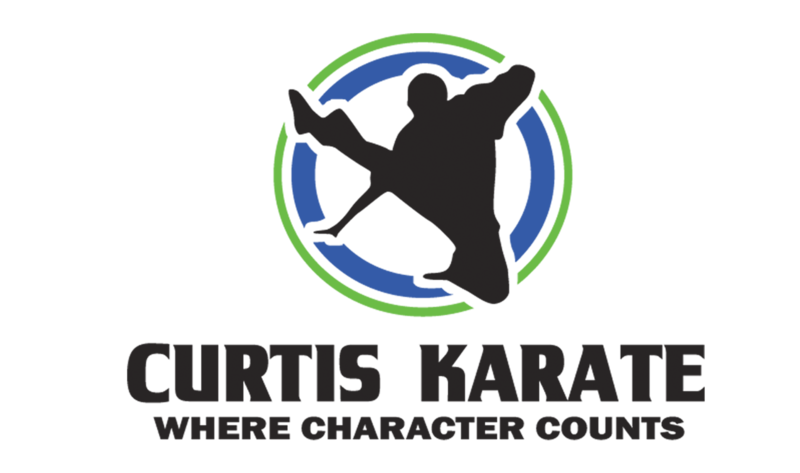 Curtis Karate will be offering Monthly Specials throughout the year. So, for the month of June, we’re offering a Gi Special! We hear that some of you might be needing a new full Gi for tournaments so we’ve made two full sets available at a discounted price. One is the regular weight of 7.3oz and now, we also have the heavy 12oz available (only available as a full set). For those of you who would like to sport a more stylish and colorful look, we’ve got individual Gi Jackets and Gi Pants for sale at a discounted price as well! These are 7.3oz in weight. When making your purchase, please only order the color of your equivalent team or below. 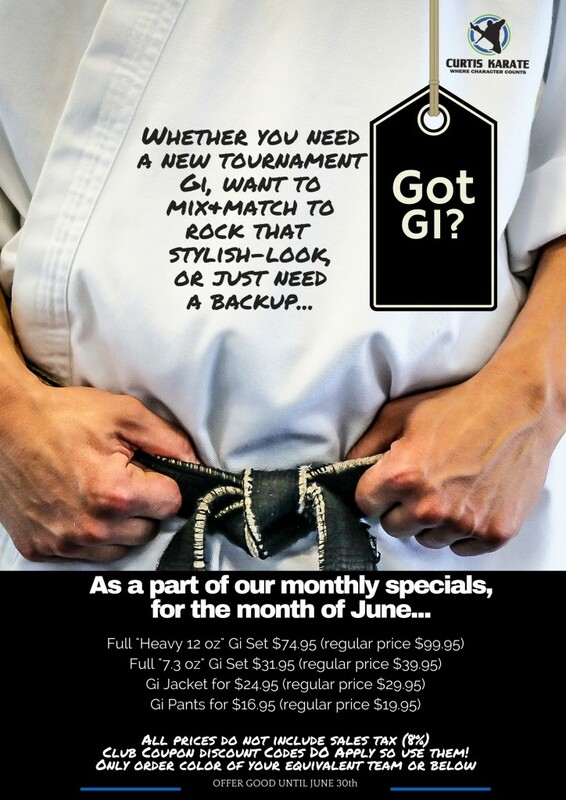 So, whether it’s for the above reasons or you might just need a backup, check out our June Gi Specials! Click on the image to go to the Specials Page! Previous post Thank You Parents!